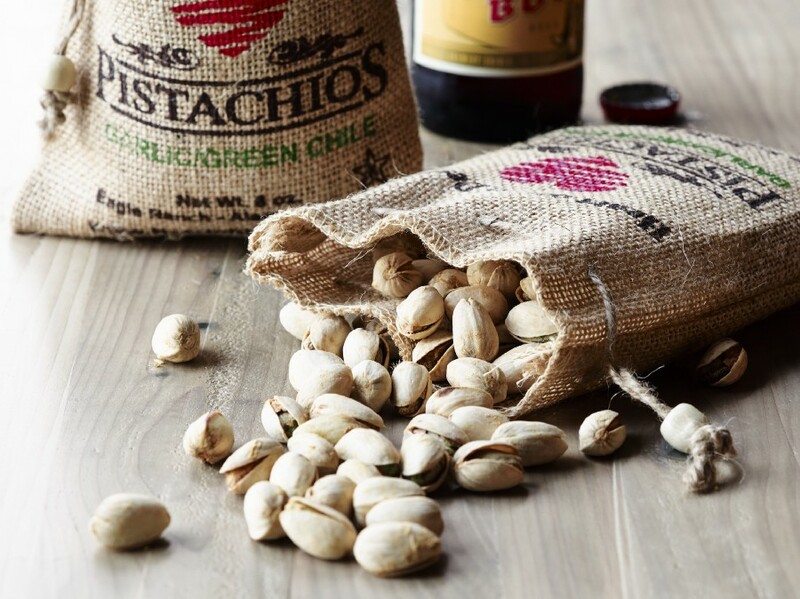 13 of America's Best Roasted Nuts | Mantry Inc.
New Mexico’s oldest and largest orchards turn days of desert sun into nature’s perfect packable protein snack — the ever-nutritious pistachio. Ditch the cocoa-covered peanuts and over-salted almonds, and stuff your saddlebag with these, flavored — of course — with the state’s famous chile. Just be sure to pick up your shells, lest a hungry trail bum raid your private stash. Sunflower-snacking pros spend more time spitting shells and picking teeth than eating — you can cut to the chase with these husk-less wonders. Dry roasted in small batches with tons of natural seasoning — never sprayed — they’re packed with iron, zinc, and protein, each handful shrapnel-free satisfaction, no tooth brush needed. The humble peanut gets upstaged by chicer seeds like walnuts and filberts and, unshelled and unadorned, it’s not hard to see why. But doll ’em up a bit — and we don’t mean with a top hat and cane, Planter’s man — and the nut will draw a crowd. 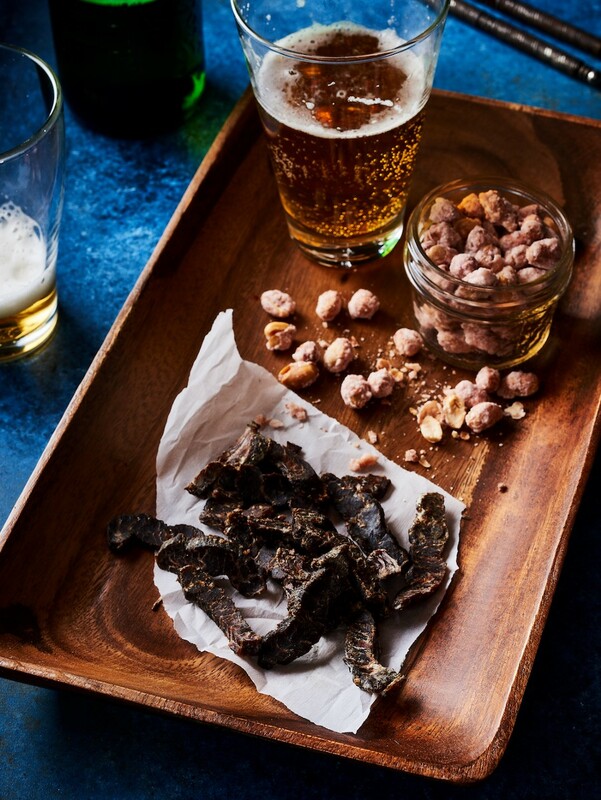 Cooked in Sriracha and vanilla, these are sweet enough to satisfy, spicy enough to keep you sipping: a communal snack bowl you’ll horde yourself. Hawaii’s first macadamia tree was planted two centuries ago, and — legend has it — it’s still growing, somewhere on the verdant coast for which this company’s named. The island’s mac nut trade is still just as old-school: small producers, private farms, local families. Tradition you can taste (even when dusted in cracked pepper and sea salt). Savor them solo or grind up a handful with lemon and olive oil for a luau-ready crust on baked snapper. Working for peanuts? We say, peanuts work for you. The little legume that could can, and does, just about everything: slipped into chocolate bars, pressed into milk, spread onto, well, anything. Peanuts are a workhorse, which is a nice way of saying: boring as the dirt from whence they came. And that’s OK. Bland blank canvasses, they’re vehicles for extra flavor. Judge not the nut, but its shell, the things it carries. And these bring epic cargo, a worldly, warming blend of cinnamon, ginger, and nutmeg, spicy sweet and satisfyingly salty. 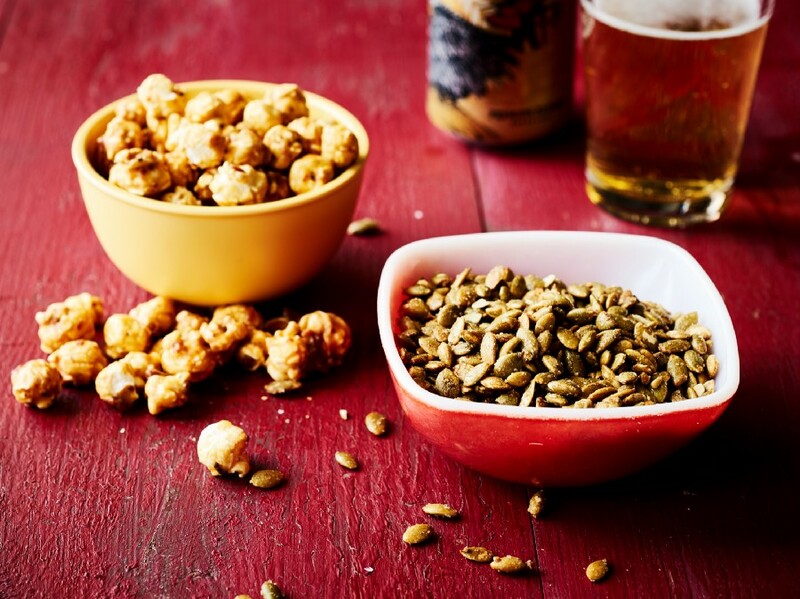 Appetizers are more than just a way to quell anticipatory grumbles as your guests await the spread to come — they’re your first impression, and stale party mix is like a limp handshake. 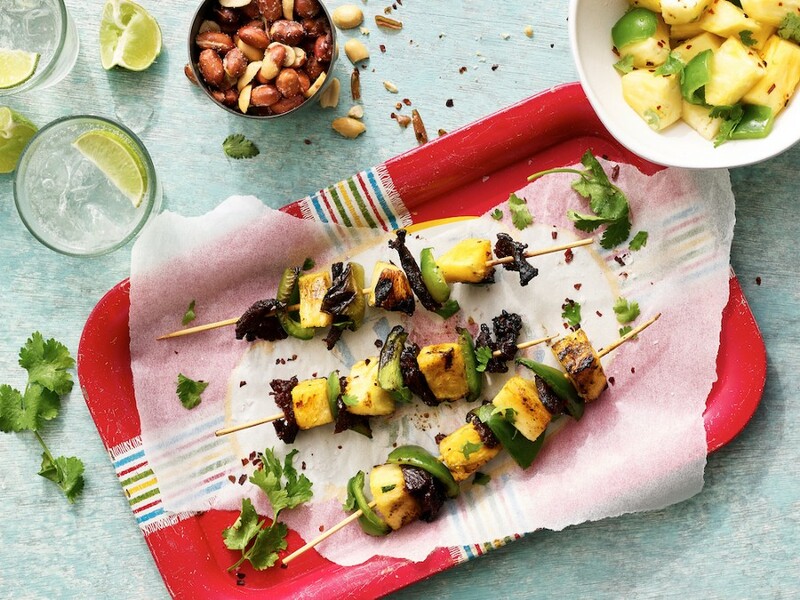 Upgrade the bar snack with a pop of lime, kick of cayenne, and the building burn of chipotle, to keep the cooling cocktails flowing. Worse ideas have been born on predawn ski trip runs to the gas station, en route to first chair, or late-night rest stop visits before pulling into camp, to stock up on last minute forgotten items. King-sized candy tempts when lit by flickering fluorescents and seasoned with rumbling bellies. But when the sugar high fades, you’ll wish for wiser choices. On their own pre-ski supply run, faced with questionable jerky and slowly spinning heat lamp dogs, these friends let their better judgment prevail, shunned the junk food and started Giddy Up. 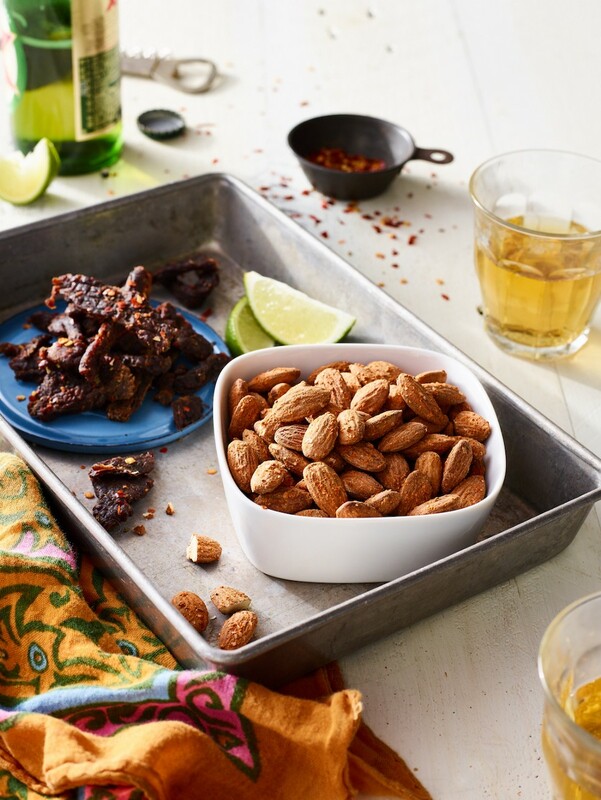 Satisfyingly savory with a zesty zing from fresh pepper, garlic, and just enough celery salt, pack these almonds for a trail-side snack, or hors d’oeuvres while you wait for the kettle to sing. Water water everywhere, and not a drop to drink? No worries, as long as there’s beer, and, of course, some munchies to go with it. 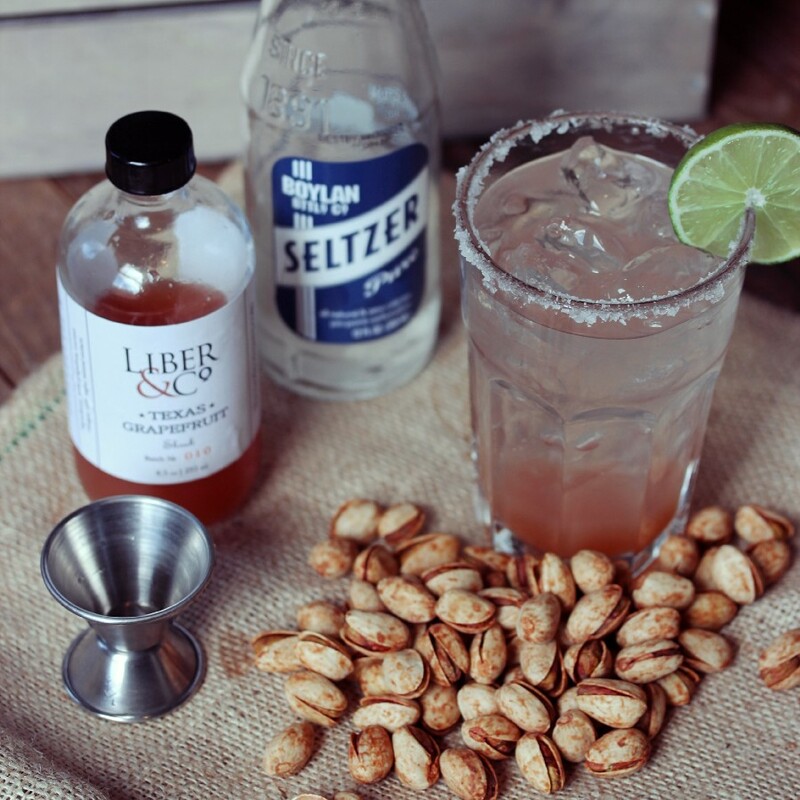 The best pairing for a lime-wedged lager, besides a hammock and a wave-rippled sunset, is, of course, a handful of peanuts. 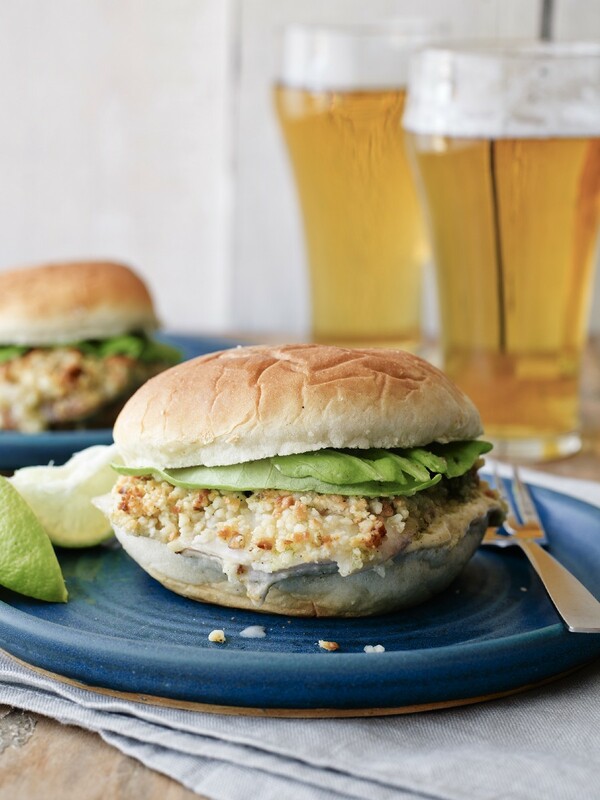 To properly satiate while you hydrate and luxuriate (hey, island life is hard…), reach for a bag of these North Carolina redskins, dusted in sea salt and spritzed with lime juice. Then kick back and watch for the green flash. Old-time diehards might prefer theirs naked as a jaybird, calling them “eh-monds,” in the Central Valley vernacular (“the fall from the tree knocked the ‘el out of ‘em,” they’ll say), and turn up sunburnt noses at blends and spice-rubs, all that summer camp trail mix foolishness. Well we say, nuts to them. With a wisp of smoke, AgStandard made a good thing better: California-grown almonds, lightly kissed with smoldering kiln-dried wood (almond, natch) have just the right earthy bite to balance their creamy sun-kissed sweetness. Call ’em what you want — we call ’em the perfect snack. This San Juaquin county farm has been shaking down and shelling walnuts for five generations — they know their nuts. Walnut trees can live for centuries, but times and tastes change, which means this Old Dog has some new tricks. While dad runs the farm, his daughter turns their buttery, rich, omega-3-packed nuggets into even tastier (and even more irresistible) flavor bombs like these Mexican-inspired morsels, dusted with rich cocoa, warming cinnamon, and a zesty pinch of cayenne. Trendy, but traditional: the ranch still grows, dries, and grinds the peppers themselves. 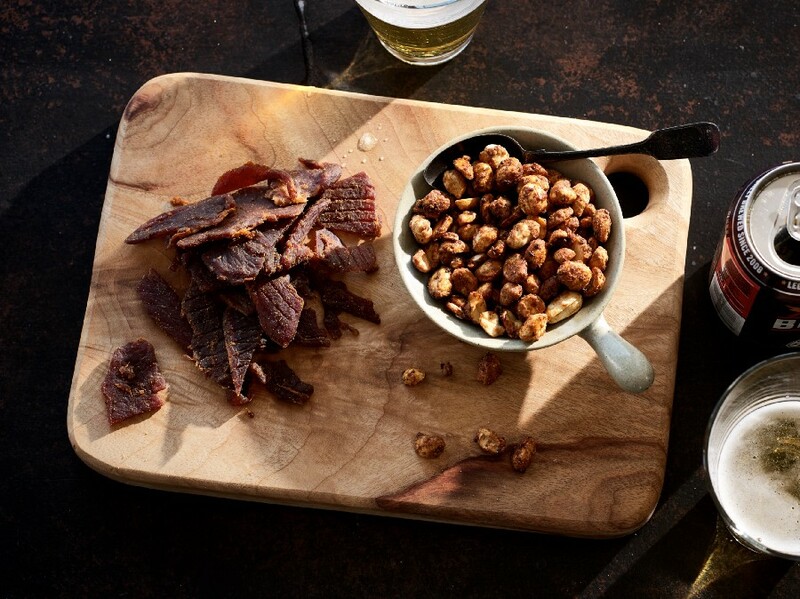 Another sports-night staple we can’t live without is the humbly habit-forming beer nut. A cinch to serve and impossible to resist — your coffee table’s downright naked without a heaping bowl. 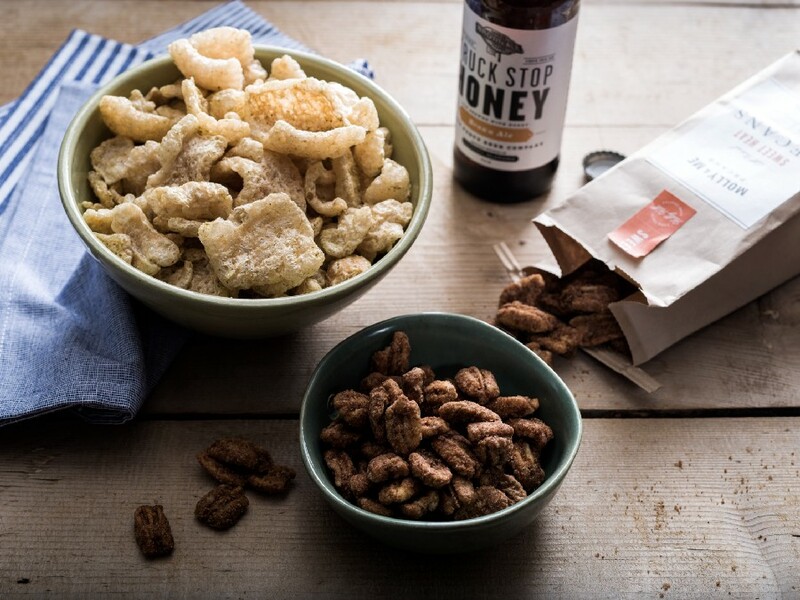 In the grand tradition of southern cooking, wherein sugar and spice make everything nicer, these pecans, plucked from a 150-acre farm outside of Charleston, get a dusting of crunchy cinnamon sugar with an afterburner boost of chile pepper heat. 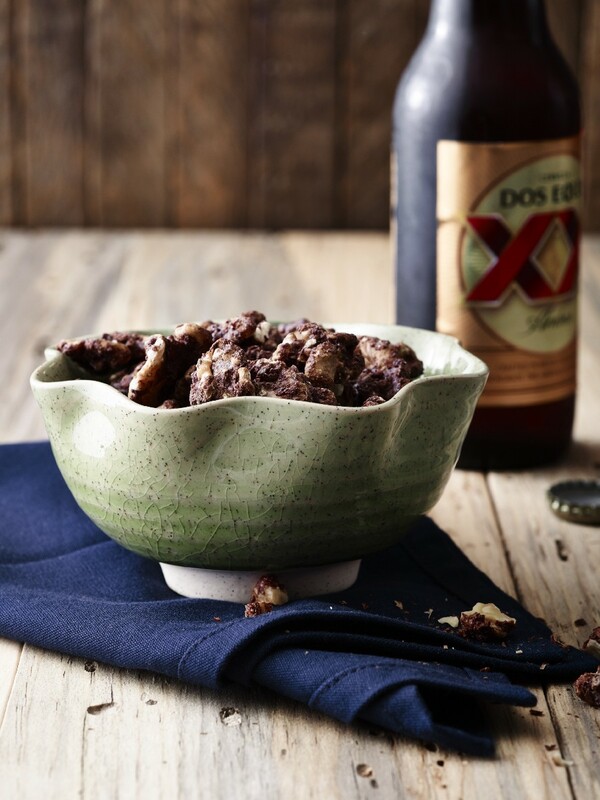 No need to fear — the flavor’s balanced and subtle — just keep the beer glass close at hand. Recently turning 90 years young, David Fiddyment has definitely shelled a pistachio or two in his day and is not the gent you want to find yourself in a thumb war with. But you are going to want to get your hand on a cerveza and start chasing swigs with these zesty gems. 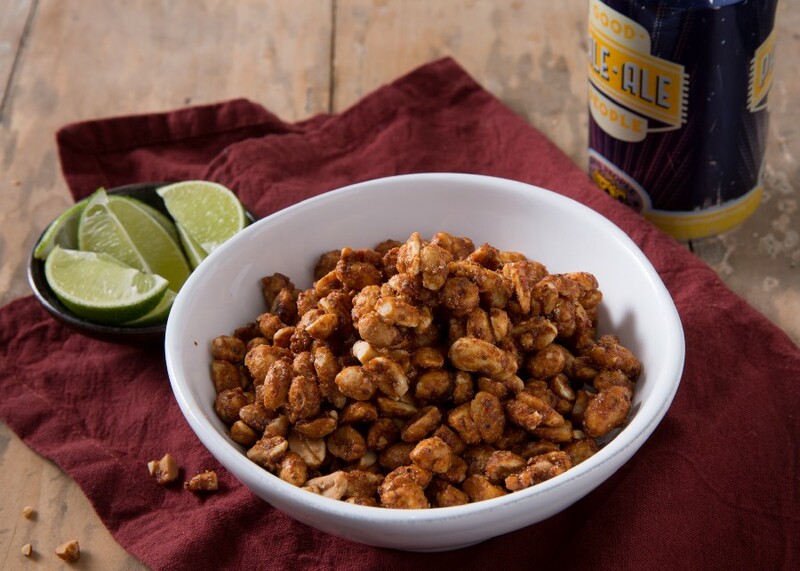 A popular Oaxacan bar snack (traditionally roasted in pork fat) lime and chile flavored nuts can also be bartered off vendors throughout Mexico. We’d like to cheers this pistachio pioneer on 30 siesta-less years of growing, roasting and packing premium pistachios on his family farm in the heart of California. Can a lazy day watching March Madness actually be approved upon? Well, sub in a couple pints & pecans for that guy complaining the #11 seed screwed his bracket and there’s a shot. 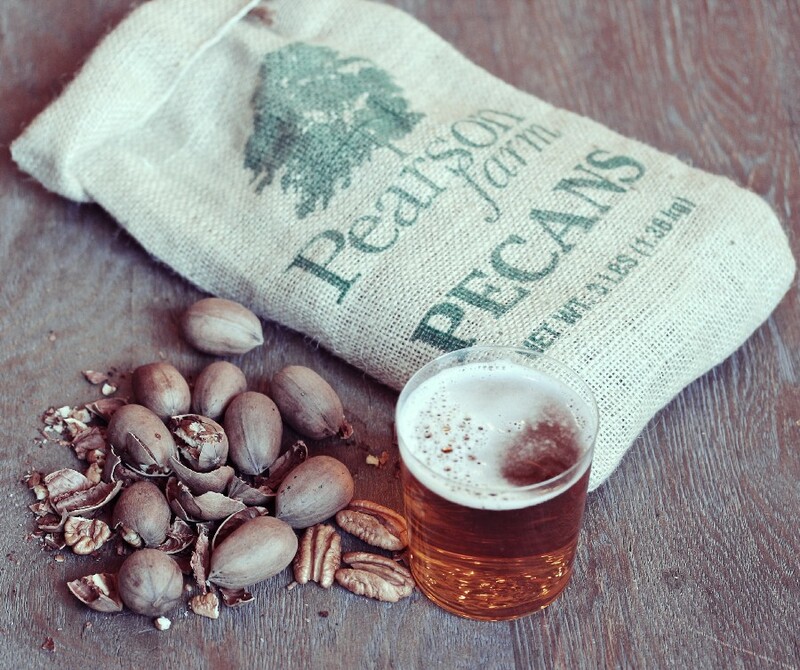 Pearson Farm Pecans get shelled out everywhere from michelin star joints like Per Se in Manhattan to man caves across the Empire State South. Crack em’ like a local: squeeze two together in the palm of your hands and chase with a frosty brew and college sports. 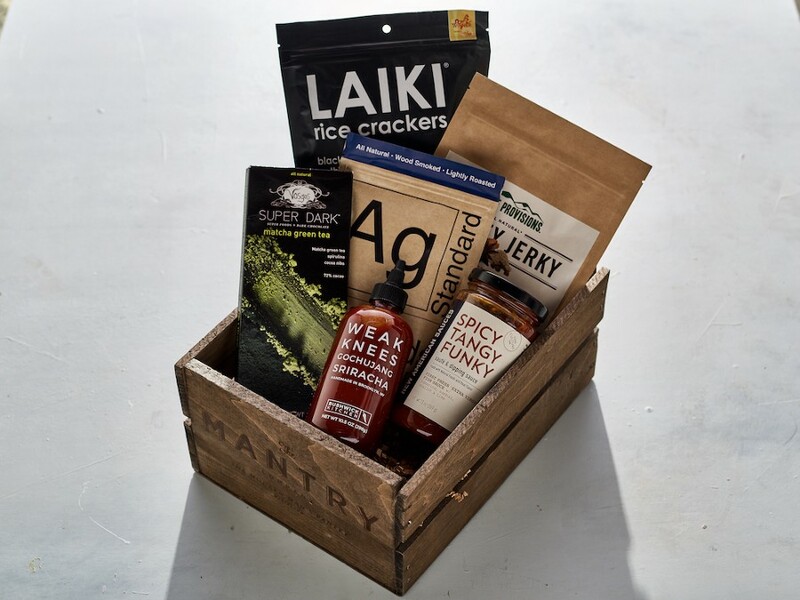 You might like Mantry because we're nuts about sending America's best nuts.